Officials have warned that the outbreak could reach epidemic proportions, says the BBC's Southern Africa online correspondent Pumza Fihlani. Cyclone Idai: What are the dangers? Was southern Africa prepared for Cyclone Idai? Hundreds of thousands of people were displaced following the cyclone - exposed to unhygienic conditions, some had little to no access to clean drinking water for more than a week. The flood water itself is not the primary risk. Instead, the risk comes because the existing drinking water supplies having been damaged by the flooding. 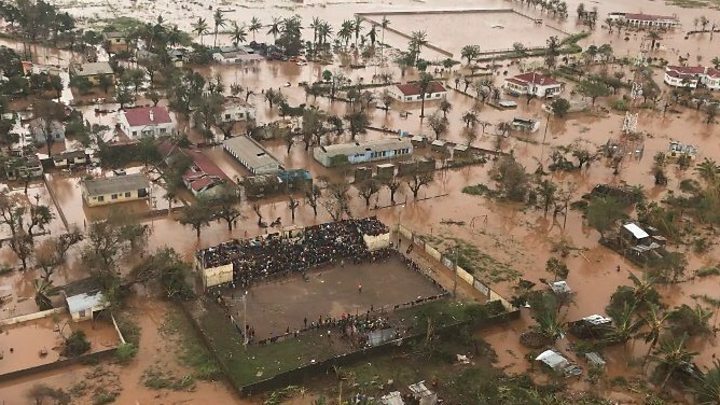 Some 518 people have been confirmed dead as a result of the cyclone, according to the most recent statistics issued by Mozambique's National Disaster Management Institute (INGC). Some 1.8 million people are said to be affected across southern Africa, with no electricity or running water in areas where homes have been swept away and roads destroyed by the floods. Cyclone Idai made landfall near Beira, a city of 500,000 people, with 177km/h (106mph) winds. 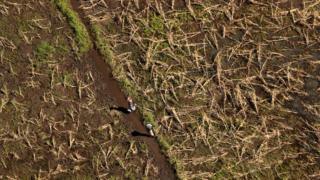 Mozambique is said to have borne the brunt of flooding from rivers that flow downstream from neighbouring countries. Nearly 90,000 Mozambicans are thought to be sheltering in temporary sites.